No additional release notes are available at this time. 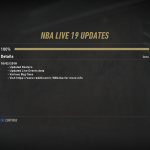 As always, we invite you to join in the discussion that’s taking place in the NBA Live 19 section of the NLSC Forum! My full review will be out soon, but in the meantime, I’ve posted some initial impressions in a recent Friday Five. UPDATE: It appears as though the sale ended early or there was some mistake, as the price has returned to normal in the PlayStation Store. 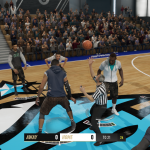 Arcane has a digital copy of NBA Live 19 for PlayStation 4 to give away, so he’s holding a contest for anyone who purchases any NLSC apparel from his sports clothing label, Arcane Team Apparel. First prize is the game plus an Arcane Team Apparel t-shirt in your size, while one runner-up will also receive a t-shirt. A percentage of all NLSC apparel sales goes towards funding our hosting costs, so all entries will be helping to support the site. Obviously, you also get some great merch to represent your favourite website dedicated to basketball gaming, and a chance at a free copy of NBA Live 19 as well! Entries close October 14th. Please see this topic in the Forum for more details, and check out a few photos of the available NLSC apparel below. 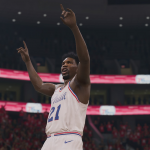 As evident from both of last week’s title updates, the NBA Live 19 development team is committed to pushing through new content and fixes on a regular basis. To that end, a new update has come through, and is available to download now. 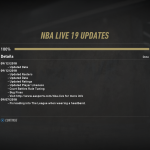 Although EA are calling it a title update, the latest update does come through in-game, and NBA Live 19’s update history is still at version 1.05. The new update does contain bug fixes though, addressing issues with records in Head 2 Head, create-a-player clothing, gear conflicts, and NBA combine ratings. 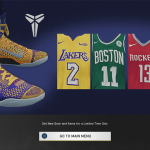 The latest transactions are also included in the update, along with shoe and gear updates, WNBA ratings updates, and jersey number corrections. Anklebreakers and shooting Traits have also been tuned. Check out the full changelog below, feel free to share your thoughts in the comments section, and join in the discussion here in our NBA Live 19 Forum. It seems the NBA Live development team aren’t messing around when it comes to title updates this year! Less than 24 hours after the release of Patch 1.04, Patch 1.05 is now available. It should come through automatically as long as your PlayStation 4 or Xbox One is connected to the Internet. If it doesn’t, try restarting your console, or checking for the update manually. A full list of patch notes has been posted over on the official NBA Live Reddit. 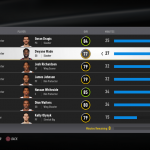 The latest update includes some further gameplay fixes and tuning, adds more stat tracking to the online leaderboards, and fixes an issue with edited rosters within Franchise mode. Please see below for the full patch notes. You can also find an update history for NBA Live 19 here in our Wiki. As always, feel free to share your impressions in the comments section, as well as join in the discussion here in the NLSC Forum. 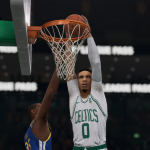 Patch 1.04 has come through for NBA Live 19. It’s a title update, so it will be downloaded via your console’s dashboard, providing you have an active Internet connection. If it doesn’t start downloading automatically, try restarting your console, or manually checking for the update. 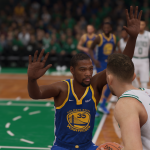 An in-game update featuring new rosters, updated contracts, and new gear in the store has also come through, and will download automatically when you fire up NBA Live 19. The development team has provided full patch notes for the new title update. 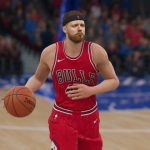 In addition to addressing issues with switching and positioning on defense, the speed of the ball on passes, player velocity, and a bug with shooting fouls, it updates some of the rules for Court Battles, adds new player faces and a ton of new commentary, and changes the ICON upgrade visuals. A few bugs and issues with online matchmaking and leaderboards are also addressed, and sweat effects have been tuned. Please see below for the full patch notes. You can also find an update history for NBA Live 19 here in our Wiki. As always, feel free to share your thoughts in the comments section below, as well as here in our NBA Live 19 Forum. The development team has provided a detailed breakdown of what was included in the September 12th content update for NBA Live 19. This update is pushed through automatically in-game, as long as your PlayStation 4 or Xbox One is connected to the Internet. 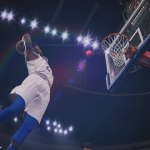 In addition to updating both the NBA and WNBA rosters with the latest player movement, it also fixes the jersey names for a couple of players, correct jersey numbers and WNBA dunk packages, fixes some objectives, and tunes the rules for Court Battles. Uniforms will now also rotate at various World Tour venues. The team also mentions that next week they’ll be providing information about what to expect from an upcoming title update. Unlike content updates which are pushed through in-game, title updates come through via the dashboard of your console, and tend to be much larger. For those who are unaware, we’re maintaining an update history for NBA Live 19, which you can find here in our Wiki. 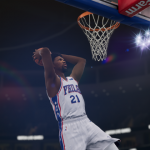 As always, feel free to post your thoughts in the comments section below, as well as join in the discussion in the NBA Live 19 section of the NLSC Forum!